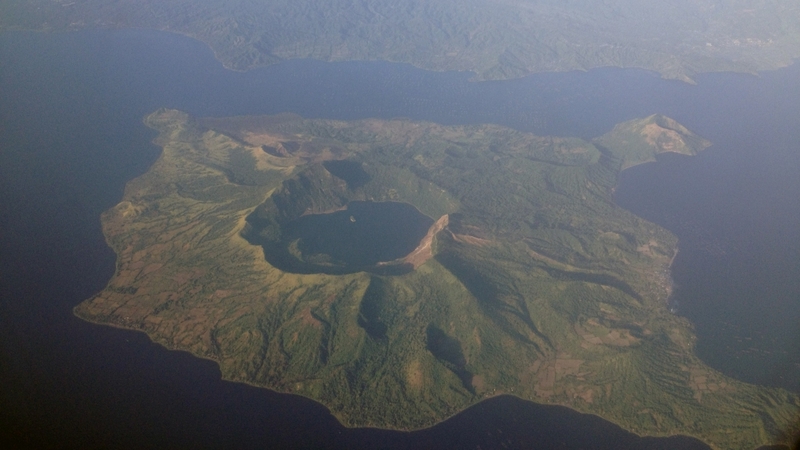 Vulcan Point in the Philippines is the world’s largest island within a lake (Main Crater Lake) that is situated on an island (Volcano Island, aka Taal Island) located in a lake (Lake Taal) within an island (Luzon). 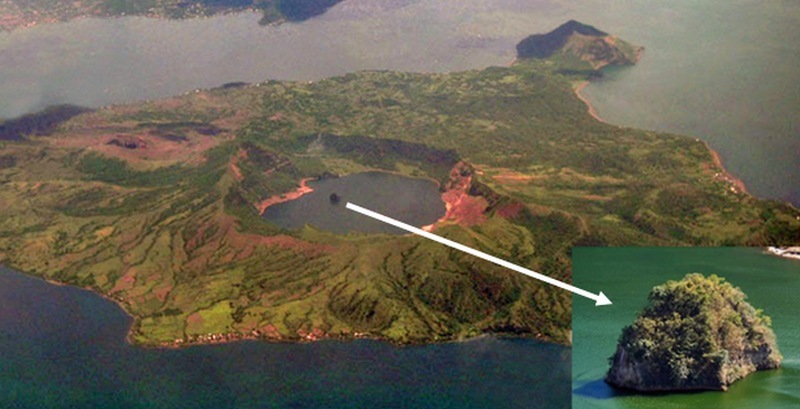 It also happens to be one of the cones of the active Taal Volcano, so Vulcan Point is also the world’s largest volcano in a lake (Main Crater Lake) on a volcano (Taal Volcano). And Main Crater Lake also happens to be the largest lake on an island (Volcano Island) in a lake (Lake Taal) on an island (Luzon). Got that? Actually, Vulcan Point is relatively tiny, but it and its parent volcano, Taal Volcano, are popular tourist destinations, due to the spectacular views afforded by their geography, not to mention some clever marketing: “One of the curiosities of Taal Volcano is not just the fact that the volcano has a lake inside its crater but that there is yet another island on that lake. Apparently, it is just one of the many cones of Taal Volcano. The name of the island is Vulcan Point. It is not particularly large; in fact, one would probably have difficulty erecting a house in such a small piece of land. This is often marketed in a rather amusing way—‘an island within a lake, on an island within a lake on an island’” (source). “Taal Volcano is a complex volcano on the island of Luzon in the Philippines. Historical eruptions are concentrated on Volcano Island, an island near the middle of Lake Taal. The lake partially fills Taal Caldera, which was formed by prehistoric very powerful eruptions. Viewed from Tagaytay Ridge, Taal Volcano and Lake presents one of the most picturesque and attractive views in the Philippines. It is located about 50 km (31 miles) from the capital of the country, the city of Manila. The volcano had several violent eruptions in the past causing loss of life in the island and the populated areas surrounding the lake, with the death toll estimated at around 5,000 to 6,000. Because of its proximity to populated areas and its eruptive history, the volcano was designated a Decade Volcano, worthy of close study to prevent future natural disasters. It is one of the active volcanoes in the Philippines and part of the Pacific ring of fire.